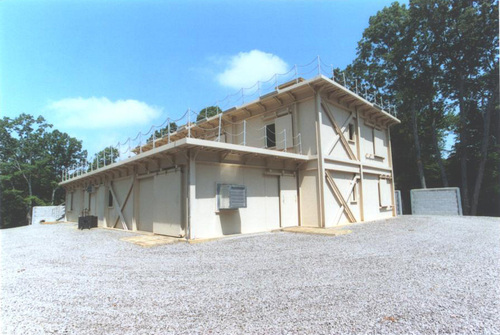 The project consists of a 5,000 square foot, life fire exercise, ball capable shoothouse for the 5th Special Forces Group. The facility has two stories, multiple entrances, and is divided into two separate rooms with a hallway system throughout. The walls and floors are designed to absorb blasts from live High Explosive Fragmentation grenades as well as small arms ammunition. Interior walls are sheet steel and rubber planked on both sides.